The cruel face of the economic crisis can be best observed in the daily life of waste pickers. In the past four months, there has been a huge drop in the volume of recyclable materials that arrive in the hands of these workers. The crisis is blamed as the main cause of this scarcity, but waste workers contracted by the government still take the majority of recyclable materials to be buried in landfills. “This never happened before. Three o’clock rolls around and there is no more material to work with. We have to go home early. 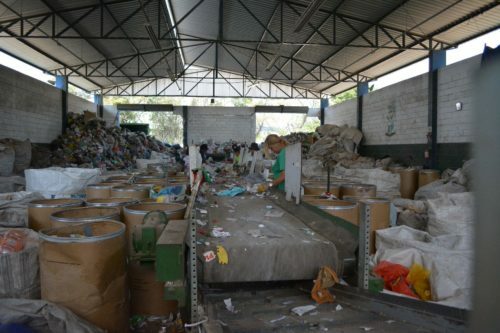 It’s alarming because we know that if we can’t process these recyclables, there will be no income at the end of the month,” said Pedro of the cooperative Cooperativa União, in São Paulo. Waste picker cooperatives such as Cooperativa União have experienced the sad situation of having to lay off cooperative members due to the lack of recyclable materials. At other cooperatives and associations, members have left their work, despite the current unemployment crisis. “When we don’t have materials to work with, our income drops and some workers are not able to survive and they stop working,” said a waste picker who did not want to be identified. This situation is not only happening in São Paulo but all over Brazil. In Porto Alegre, Rio Grande do Sul, twenty waste picker associations are experiencing the same problem.